If you’ve been reading my blog for awhile, you very likely have seen me mention Blogchat, a Twitter chat that happens on Sunday nights. There is good reason to talk about Blogchat often. Blogchat opened my eyes to all of the potential that Twitter carries. Blogchat introduced me to many people whom I now consider friends. All of that, of course, is in addition to the fact that I have learned an incredible amount not just about blogging, but also about networking on Twitter, sharing on Twitter, and how to meet new people with similar drive and interests. I am not the only one who will praise Blogchat and its founder, Mack Collier. It is the largest chat on Twitter and perpetually attracts new people, which is awesome. So understand that when I say there is one thing I am worried about, the intent is not at all to smack down the whole concept. It’s more like expressing concern about a job choice a relative is making – when you’re not quite sure if they’re going the right way. This issue really came to light for me a couple of weeks ago. The topic was how to promote a brand new blog, which opened the doors for lots of people who were new to blogging and who were perhaps also new to Blogchat and/or Twitter. My hope and expectation was that there would be a lot of questions flying around from new folk, and that some of the Blogchat veterans would be sending answers back. There was a little bit of that, but there were also a lot of people tweeting out very wise information, but not directly at anyone. With the usual retweeting of great information that happens, I fear that a lot of the newer folks were intimidated by the speed of the chat and didn’t really get to have a lot of their direct questions answered. I would like to toss out a little thought for those of us who have been participating in blogchat for awhile. All of us, at some point, were new to the chat. All of us, at some point, decided to dip our toes in for the first time and ended up making a habit of it. Every week, the pool that new folks are dipping their toes into is getting deeper and deeper. There are more and more people who have been coming every week. Because the chat is getting so large and is attracting so much attention, it is attracting more “big hitters,” which in turn gets even more people using the hashtag for the chat. I want to make sure that people who start coming to Blogchat now have the same powerful opportunity I did when I first started participating. I want them to feel welcome and important. I want them to be able to toss out questions and get bombarded with answers to their direct attention. I want them to learn what they are hoping to learn. I want them to come back. 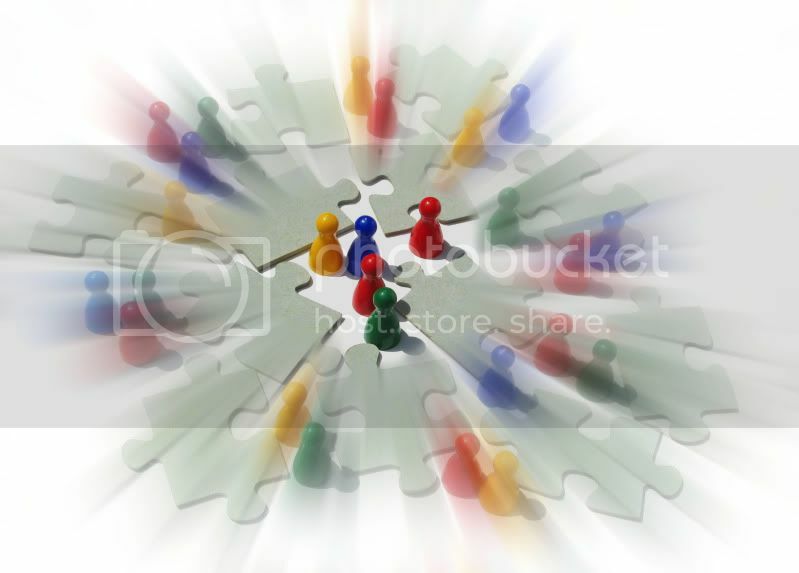 I think that networking with those people is where the popularity and power of Blogchat rests. I’m a little worried that we might stray away from that a bit as people realize that their chances of getting attention and retweets are pretty good on Sunday nights. The essence of Social Media, and the true essence of Blogchat, is to lift up and help other people who need it. I’m going to do a better job of sticking to that from now on. What a great point Margie! I know I often forget what it’s like to be new and certainly know how it feels to not get my questions answered. I almost always point new people to Standord’s post on pushing social on how to get the most out of BlogChat, but I could do a better job at monitoring the questions of those people. Thanks for reminding me to remember what it is to be new. You’re so right, Margie. I haven’t been going to #blogchat very often because it is so fast. When I started, I met some great people there, and questions were answered. We even posted our blogs so people could look at them and advice. @wilsonellis and @casudi gave me advice I used on mine. Now it seems like a lot of work to go there… especially when I’m revving up for a new week at work. You have a good heart Margie. Always thinking about helping others, doing your best to raise awareness around issues, topics etc. Thanks for the reminder it applies to a lot of other chats too. I think just raising the issue can go a long way towards encouraging others to ask for help. You model this well. Seeing your zest for learning and encouraging others to come along has personally helped me a great deal. Thanks for the info regarding #blogchat. I am fairly new to your site so this is the first time I’ve heard of it. I will have to give it a try this coming Sunday. Margie that’s a great point! As we all know, #Blogchat just moves too darn fast to keep up with even a fraction of the tweets. But if I ever see anyone mentioning it is their first #Blogchat, I will always go back and welcome them, and often I have to scroll back pages to find their tweet 😉 But as you said, we need new voices and for people to feel welcome when they join us. Now another thing I have noticed is that as #Blogchat has growth, some people seem to be trying to just get RTed, instead of actually joining the conversation. They will tweet ‘common sense’ advice about blogging that, while valuable, has nothing to do with that week’s topic. And they always get RTed, and they never seem to be interacting with anyone there. As you said, the value from #Blogchat and other chats is in the interaction and meeting people. Hi Margie, just stumbled on your post and it caught my eye. I think the chat night you mentioned was my first experience with #blogchat. As a newbie, my head was spinning, but I still got lots of value – especially after going back to read the transcript. I’ve come back the past couple of weeks, and I look forward to being part of the community and learning more from veterans like you. Your points about keeping out the clutter will really help newcomers. It’s just so hard to filter at warp speed. When messages are flying by, I worry I’ll miss a response to a my questions (and I did try to ask a few). I want to be sure I can see the answers and thank everyone who steps up to share their experience. Many thanks to you and Mack Collier and everyone else who is so helpful!